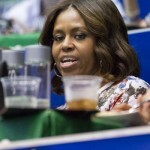 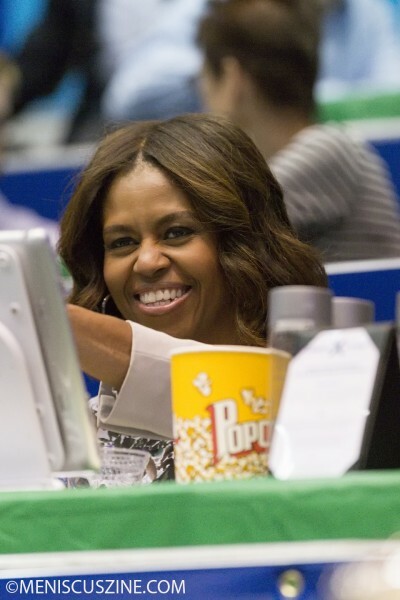 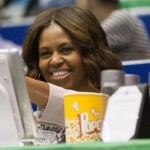 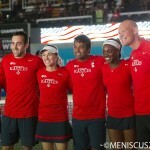 July 22, 2014, Kastles Stadium at the George Washington University Smith Center, Washington, D.C. – While the Washington Kastles (10-3) were battling the Springfield Lasers (6-7) on the court for the top seed in the Eastern Conference, on the sidelines all eyes were on First Lady Michelle Obama. 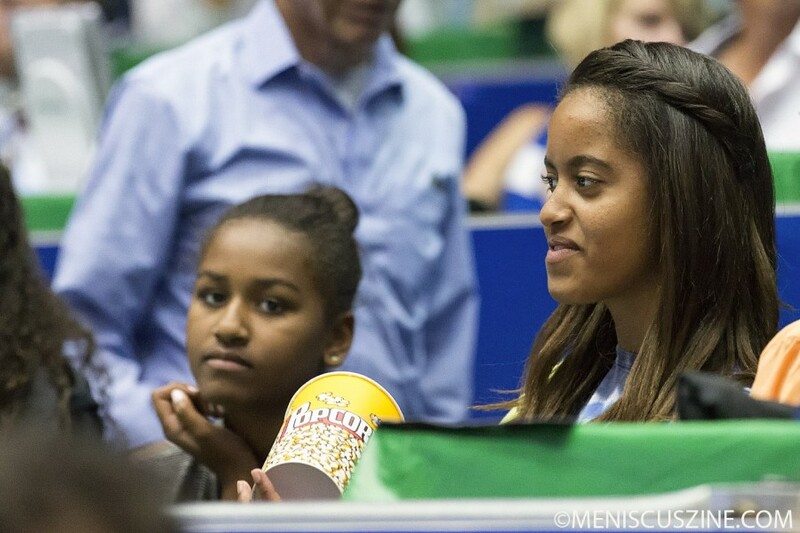 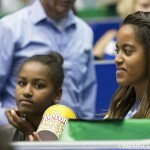 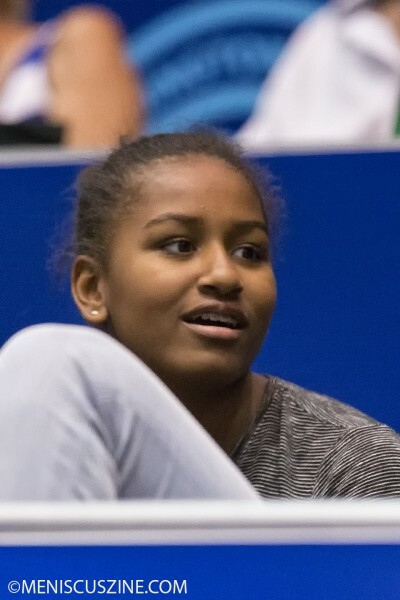 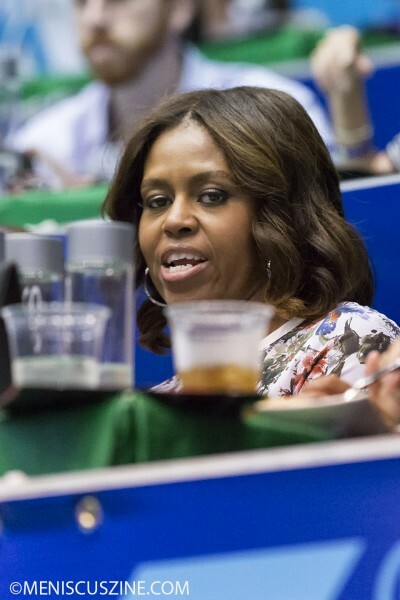 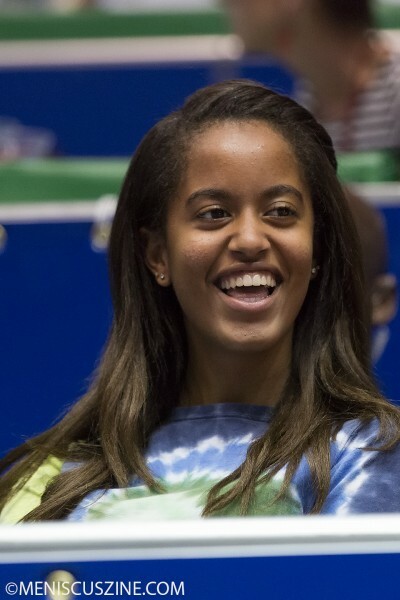 She and her daughters, Malia and Sasha, were able to watch three matches, including one with new Kastles member Sloane Stephens in her women’s singles match. 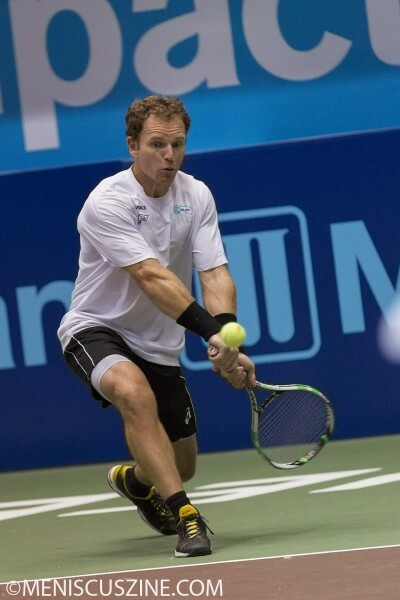 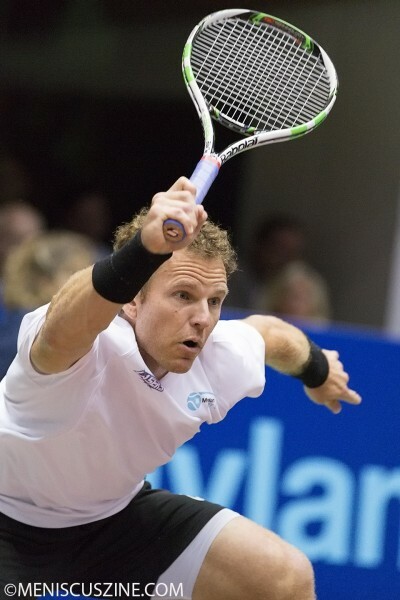 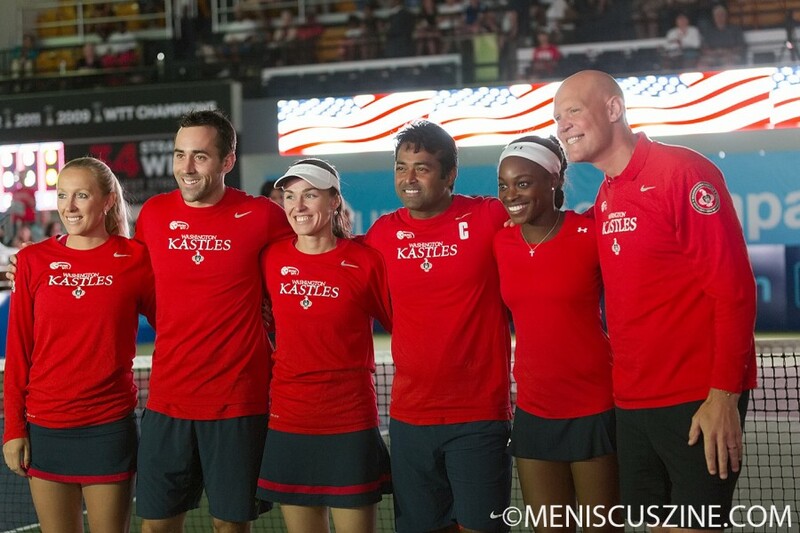 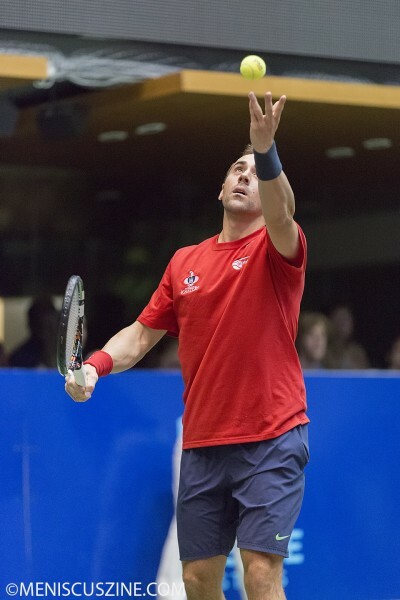 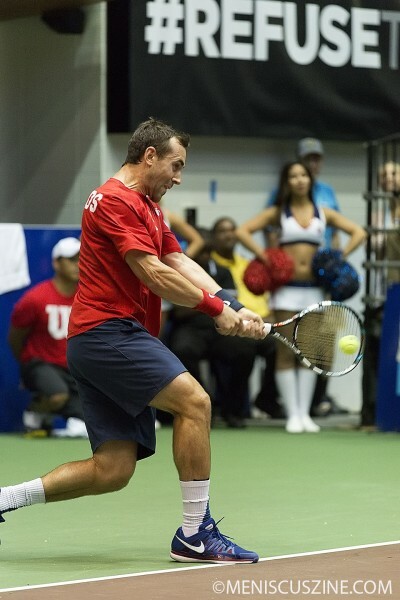 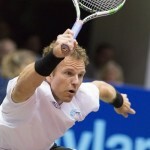 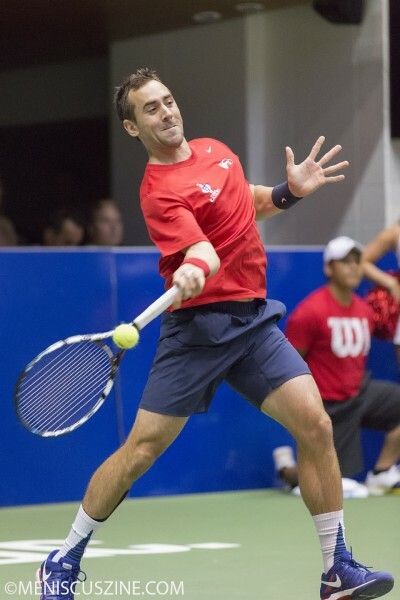 The Kastles managed to recover from losing their first match (men’s singles, 3-5), winning the subsequent four matches and beating the Lasers handily by the score of 23-15. 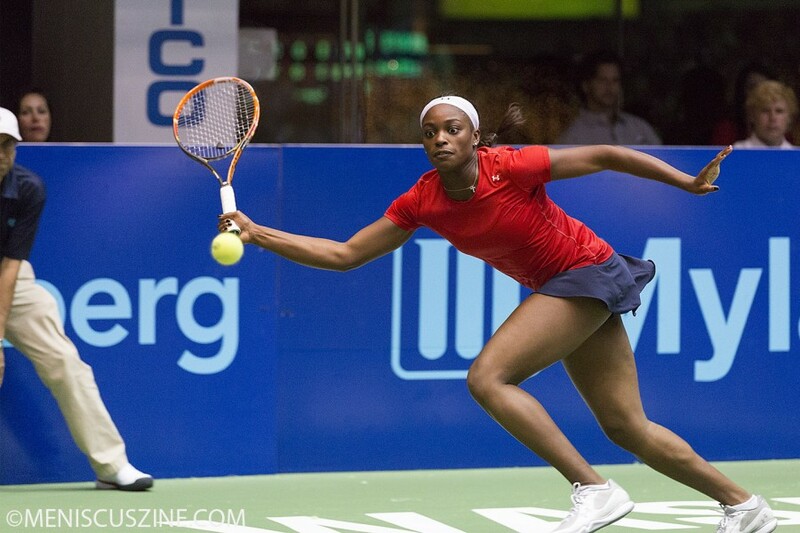 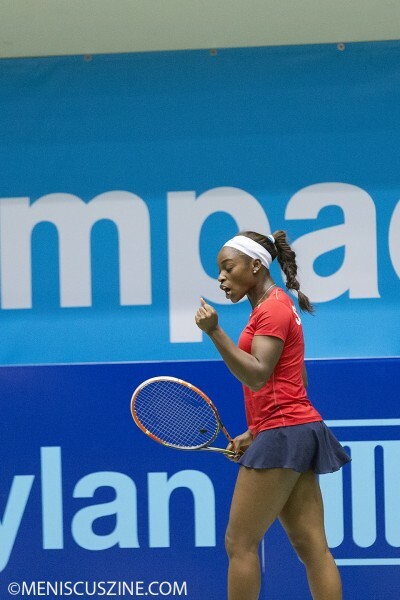 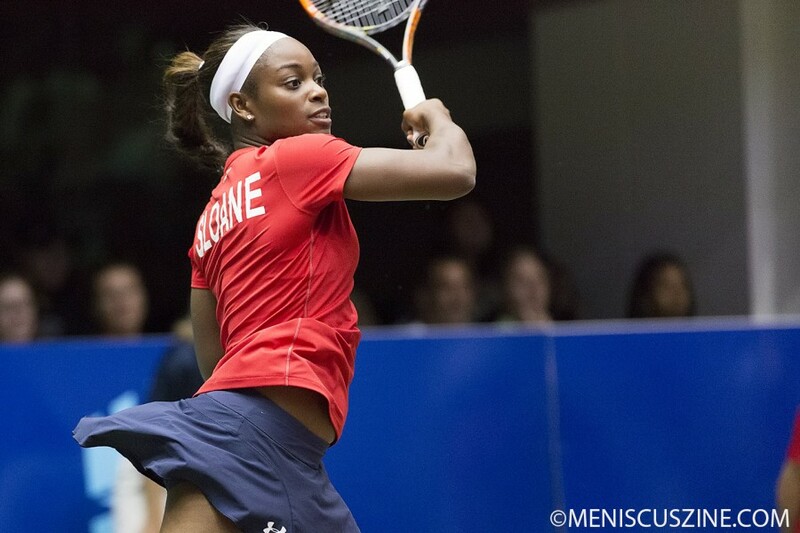 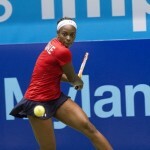 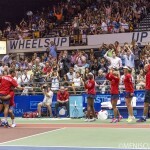 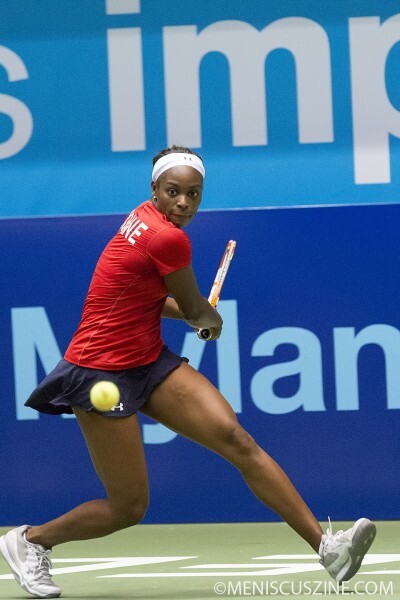 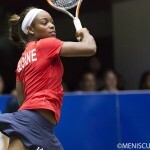 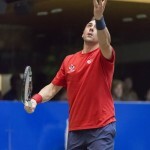 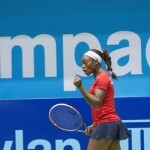 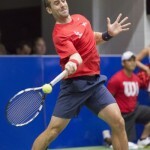 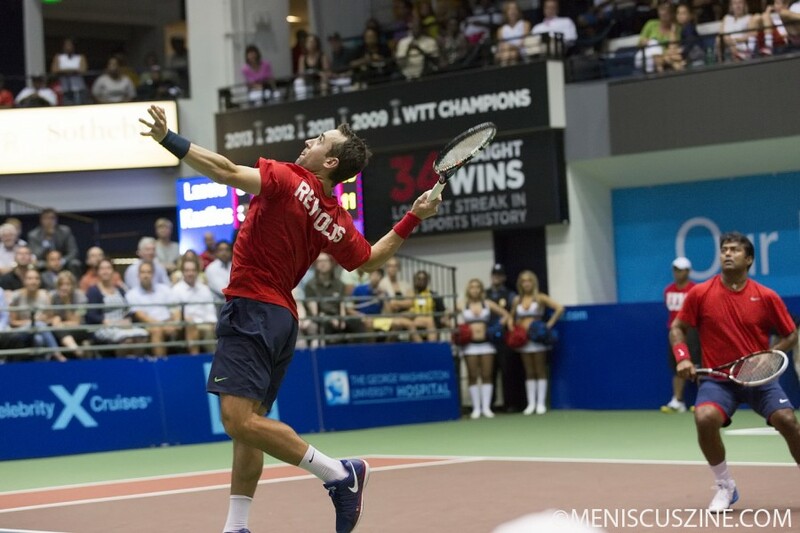 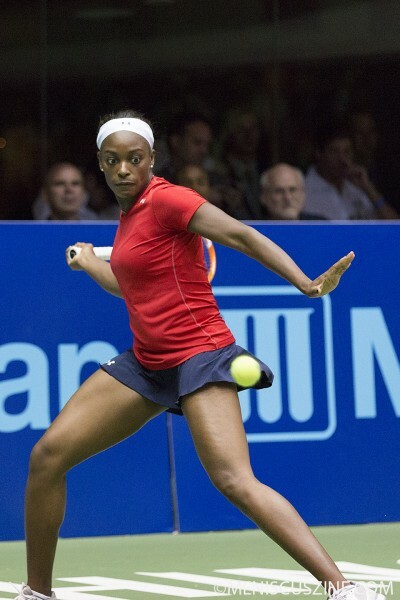 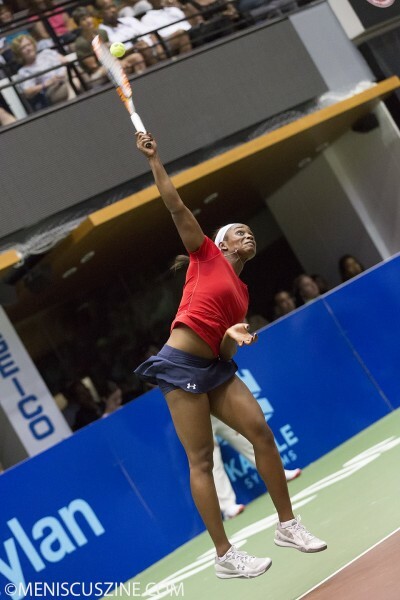 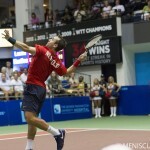 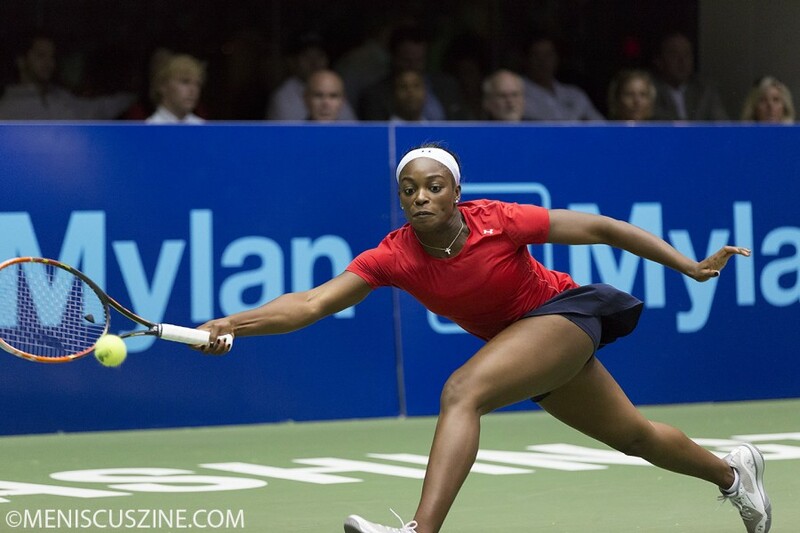 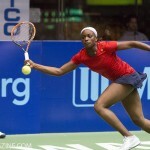 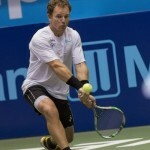 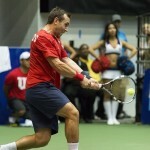 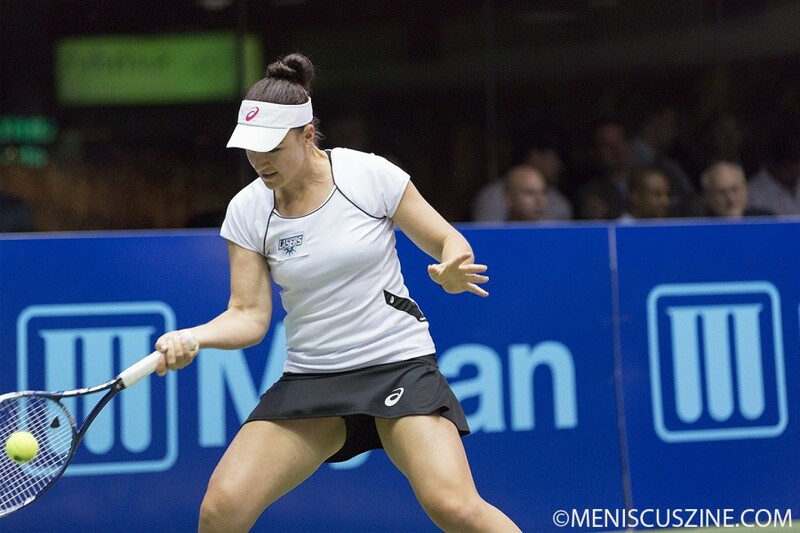 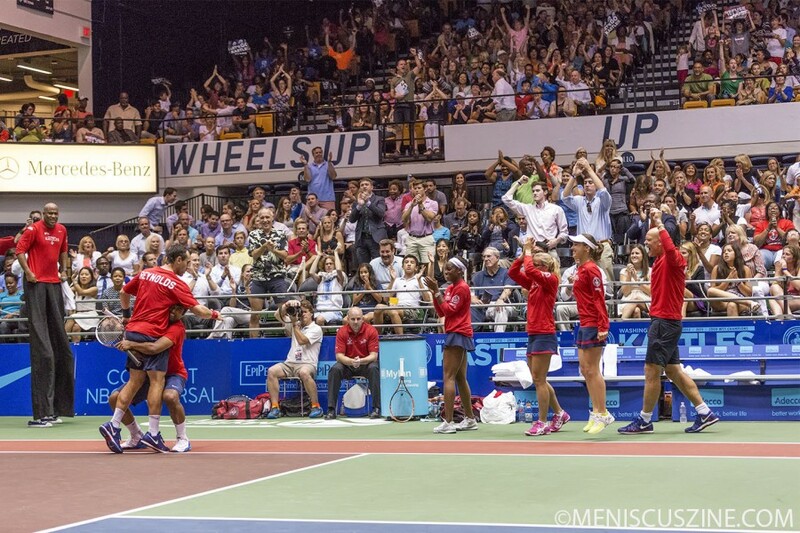 With the victory, the Kastles secured the top seed in the East over the second place Philadelphia Freedoms. 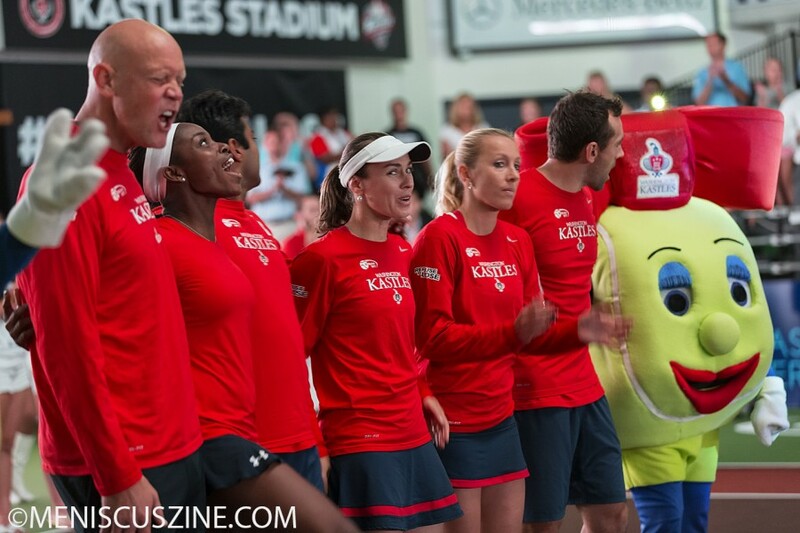 The Eastern Conference title match will be played in Kastles Stadium on July 24.